This revision podcast is relevant to both GCSE and IGCSE History students. The aim is to present an overview of events in Weimar Germany from 1919-1929. You could use the Q&A sheet while you listen, and then test yourself on the content later. 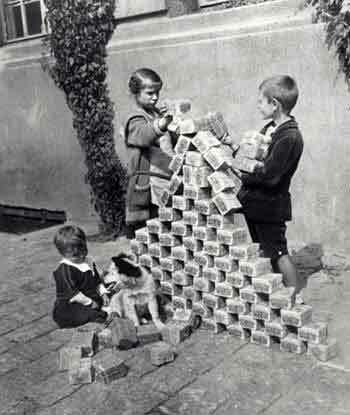 After listening, you may wish to also use the Weimar Germany Revision PowerPoint. The episode focus on two key periods: 1919-23 and 1924-29. The first section begins with an outline of the situation in Germany after the First World War. Particular attention is paid to the early extremist uprisings (the Spartacist Revolt and the Kapp Putsch), the invasion of the Ruhr, and the causes and effects of hyperinflation. The second section of the podcast begins with the appointment of Gustav Stresemann. It explains the end of the occupation of the Ruhr, negotiation of the Dawes Plan, and the terms of Locarno Treaties. The podcast ends with tips on how to answer a question about ‘how successful’ Weimar Germany was. Examples are given of signs of recovery, as well evidence that Weimar Germany was still unstable. Hi, I love your podcasts. Could you make a transcript for this so I could annotate and add to my own notes? Thanks! Thank you for the prompt. I have now added a transcript for this episode. I want to email another time, when the GCSEs are not so close, to explain why I think your methods of teaching are so good but in meantime, a few words about the background music on your podcasts. It works. It provides a connection between the listener and teacher, between the history and the way of thinking about it now. And, it is relaxing so it may be easier to listen and remember. I’ve become curious about your choices of the music, although I do get “I Predict A Riot”. the information in the podcast is really good, but i find the music in the background a little distracting, just a suggestion for future ones to either have it quieter or not have any at all. Thanks for your message. I am currently updating a number of my podcasts to stream through YouTube, and these will all have the music removed. amazing, these podcasts help me so much. I use noting as well as listening to this for my revision, this seems a strong way to revise. Then I will test myself a week later to make sure it has gone in. Thanks.